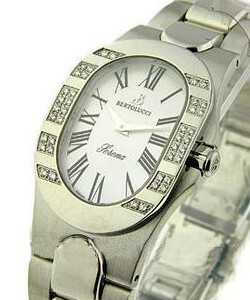 This watch is also known as: 313-53-46 , 313/53/46 , 3135346 . 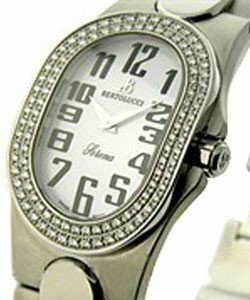 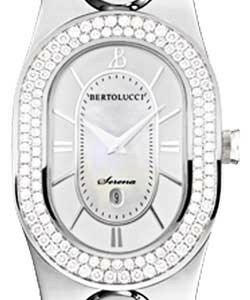 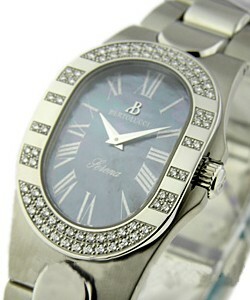 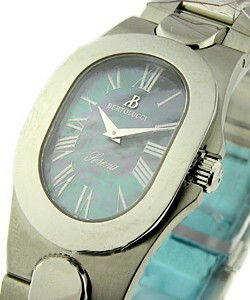 Bertolucci Serena watch has the "concept" design look and features stainless steel case measuring 28.4 x 34.7 mm. 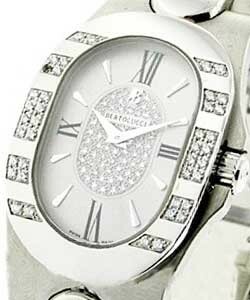 It features Quartz movement. 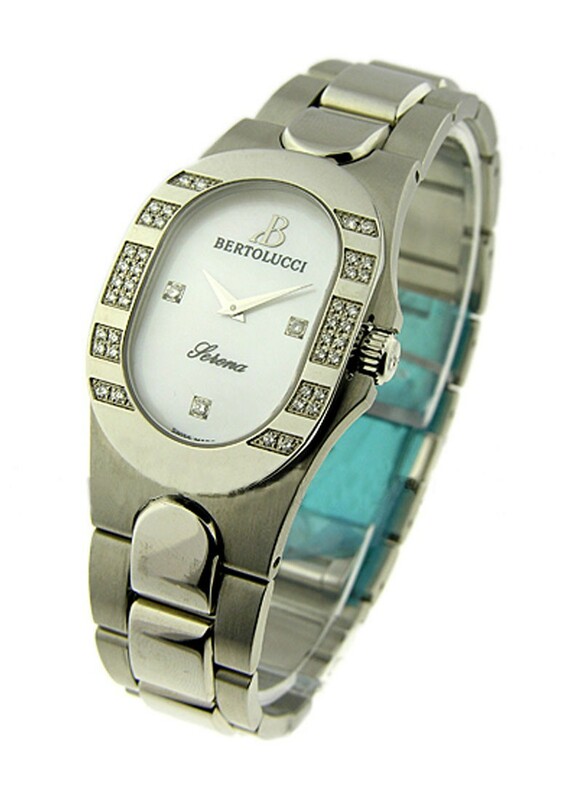 This Bertolucci is equipped with Mother-of-Pearl Dial and Steel Bracelet. 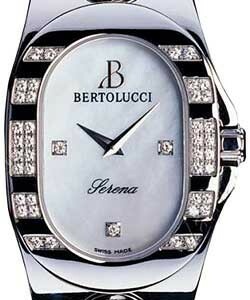 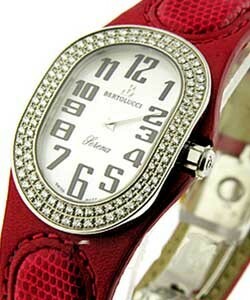 To pursue style, Bertolucci added Diamond Bezels around the steel case.